President Donald Trump announced Friday he's nominating State Department spokeswoman Heather Nauert to be the next U.S. ambassador to the United Nations. "Heather Nauert will be nominated," Trump said Friday before departing the White House on Marine One for an event in Kansas City. "She's very talented, very smart, very quick, and I think she's going to be respected by all." Trump also said he would nominate William Barr as attorney general. Barr held the same position under former President George H.W. Bush. 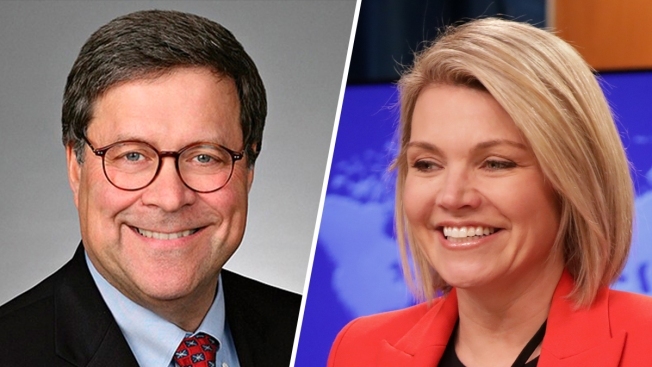 If she is confirmed by the Senate, Nauert, a former Fox News Channel reporter who had little foreign policy experience before becoming State Department spokeswoman, will replace Nikki Haley. 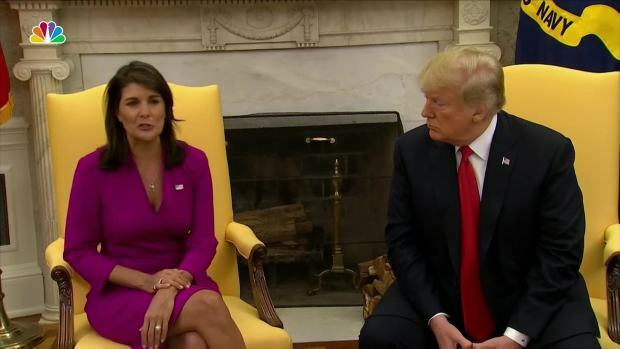 Haley, a former South Carolina governor, announced in October that she would step down at the end of this year. While Nauert would be a leading administration voice on Trump's foreign policy, a White House official told The Associated Press the administration is downgrading the diplomatic post to a non-Cabinet position. The official spoke on condition of anonymity to discuss the change. Plucked from Fox by the White House to serve as State Department spokeswoman, Nauert catapulted into the upper echelons of the agency's hierarchy when Secretary of State Rex Tillerson was fired in March and replaced with Mike Pompeo. Nauert was then appointed acting undersecretary of state for public diplomacy and public affairs and was for a time the highest-ranking woman and fourth highest-ranking official in the building. Nauert was a breaking news anchor on Trump's favorite television show, "Fox & Friends," when she was tapped to be the face and voice of the administration's foreign policy. With a master's degree from Columbia University's Graduate School of Journalism, she had moved to Fox from ABC News, where she was a general assignment reporter. She hadn't specialized in foreign policy or international relations.